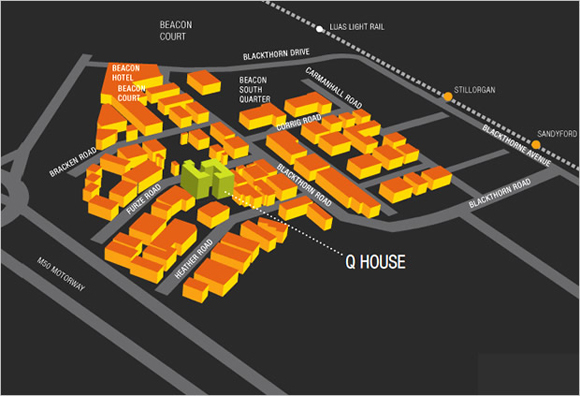 Q House is situated just off Blackthorn Drive and only a short distance from the Beacon Hotel/Hospital. Sandyford Luas Green line is an 8 minute walk from Q House. M50 exit is just a few minutes drive away.